My son and I decided to give the free-to-play MMORPG Tera a shot last weekend. He is laid up with an injury, and I needed something that we could play for a few hours that would occupy his mind. One week and 30 Tera hours later, I sit here on Saturday morning, bleary-eyed and sipping coffee. I was up several hours past my bedtime last night, running solo quests and five-man dungeons, alternatively having a blast and being angry. 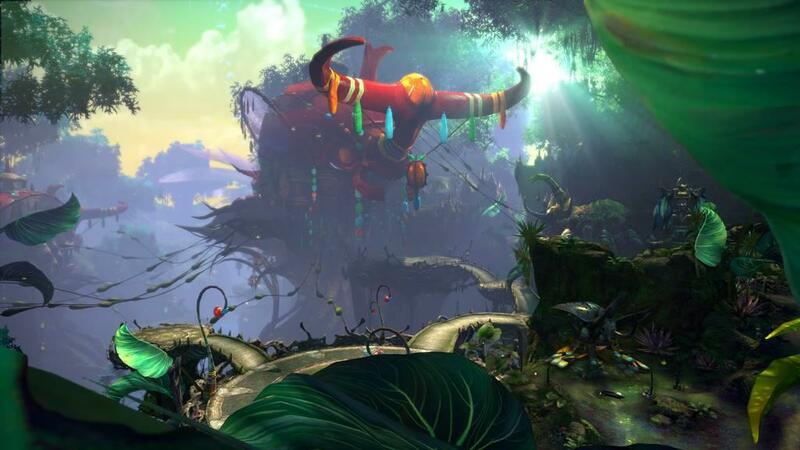 When I finally tapped out and went to sleep, I was plagued by a night of Tera dreams. I was standing in an open field, firing off heals at my family while they were battling endless waves of rock goblins. My dreams actually had a UI overlay, displaying the dream-buttons I would have to tap to keep my family on their feet. Tera got its hooks into me good, folks. I’ve tried to make the trip into the MMO well unique this time. For the first time ever, I rolled a Priest. I have always shied away from healer classes. It seems like so much responsibility. I much prefer to be a straight DPS class, wading into the fray and silently cursing the healer for their incompetence. But since I was playing with my son and he is a MMORPG neophyte, I figured that he could create a tank or a DPS character to absorb the blows from enemies, and I could keep him going with my dope heals. He instantly destroyed my grand plan by rolling a sorcerer. Oh well. It turned out that it didn’t matter all that much, because it turns out that in this case, the old MMORPG PR claim is true. 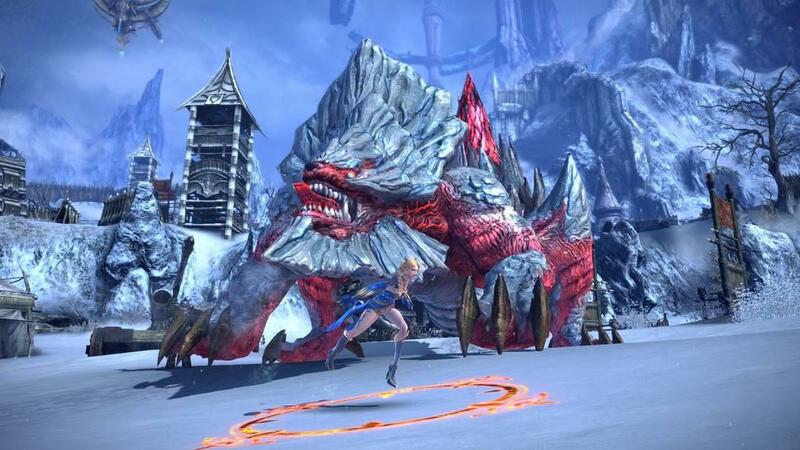 In Tera just about any class can solo successfully. In a group of just two magic users, we were nigh unstoppable. We cut a swath of destruction across the landscape for hours, barely stopping to let our mana recoup. I think that I have only died once in all my time playing, due to an unfortunately timed crit from a dungeon boss. I suspect that my son has not died at all. 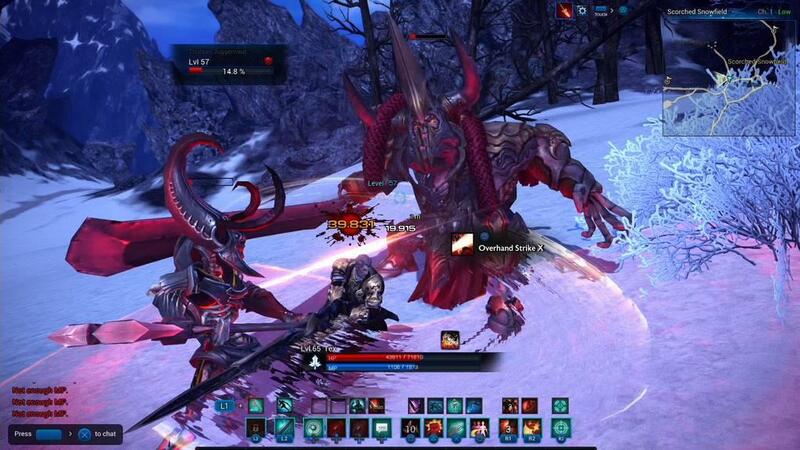 Tera is not terribly interested in tormenting new players. Levels come at a regular clip (particularly in the opening hours) and my character gained skills so quickly that I still don’t know what some of them do. Regular quest rewards are more than enough to keep you geared up while you figure out the more complex mechanics involved with the gear enchantment system. Completing daily quests (which just kind of happens as you play along) rewards you with a regular stream of jewels, which in turn can be sold to vendors to keep you flush with excessive piles of gold. 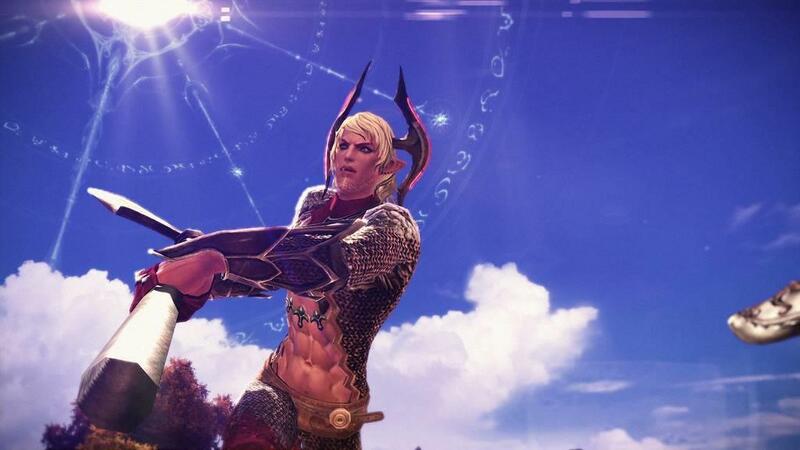 Everything about the opening hours of Tera is fast and fun. My son and I spent some time figuring out the various servers and how to navigate between channels within servers so we could team up, and then after a brief tutorial that we did in tandem, we linked up and began questing in earnest. Before the end of our first play session, we were both comfortably leveled into our mid-20s. 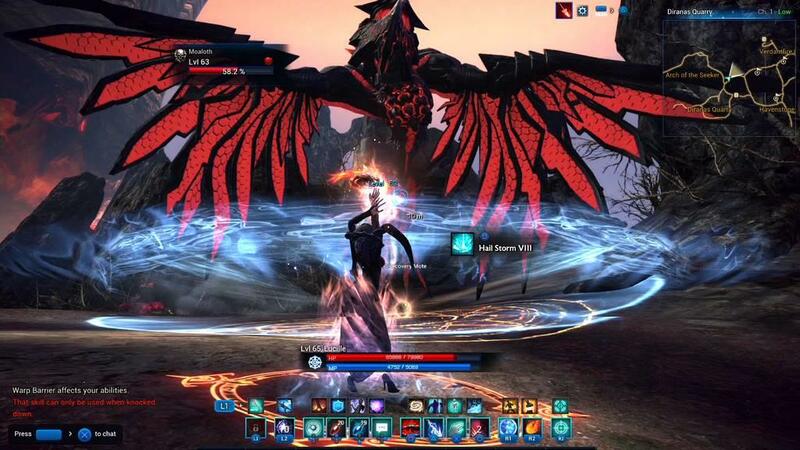 We wrapped up our first day in Tera by running though Bastion of Lok, the first 5-man dungeon. With a magic-based damage character and a healer, we got placed in a group in less than 30 seconds. The dungeon itself was surprising and fun, with several long and fun boss battles. The difficulty level was low, and I was able to keep the party maxed out on health with minimal fuss. I was concerned that healing in a game with a controller might be difficult, but the primary heal spell is handled very elegantly. You click the button once to activate the spell and then just look at who you want it to heal, and click the button again. This allows the healer to maintain a fair distance from bosses to avoid pulling aggro, dipping around the outskirts of the battle and throwing heals as needed. It is fun, and far easier and more intuitive than I expected. After the dungeon was over, my son signed off to go to bed, and that is when I made a grave error. The daily quests suggested that I run the dungeon again, so I did. I was hoping to pull a full set of armor rewards from my second run (which I totally did). The problem was that after I ran the dungeon a second time, I had far out-leveled the game’s subsequent questlines. The next time I logged in, I was in for a slog. I still wasn’t 100% clear on how to navigate around the world, and the story line pushed me towards a graveyard-style area, so I went with the flow. The game is set up so that players run around a zone with quests nudging them from camp to camp, with a simple loop of “grab quests, run around killing and gathering, turn in quests, move to the next camp”. After a couple hours of this, each zone culminates with a 5-man dungeon. So, after running Lox twice, I was stuck running around for a couple of hours doing “grey” quests, resulting in my being way ahead of the experience curve. This was fine, I guess, but the whole thing came crashing down when I ran the second dungeon, Sinestral Manor. My gear was getting a little weak, and I needed the dungeon rewards to upgrade. Signing up for match making, I was again quickly linked up with an appropriate group. And for a while, things in the dungeon were again going along fine. The issue I had centered around the fact that I was close to the level limit for the dungeon. Dungeons are only available until you pass a certain level threshold. Sinestral Manor had a level limit of 31, and I was level 31 when first entered the dungeon. Somewhere along the way, I flipped to level 32. No big deal, I thought, I would just get as many of the rewards as I could and move on. At the climactic moment at the end of the dungeon, the final boss appears, and a cut scene starts playing. I watched the cut scene, and afterwards was taken back to the dungeon where my team were standing locked into place like statues. I figured they were still watching the cut scene, so I waited for them to finish and reanimate their bodies. And I waited. And I waited. But I had missed too much of the battle. I did not get credit for the win. I could not turn in the quests associated with beating the dungeon. I could not get my gear upgrade. And because of my change in level, I could not reenter the dungeon and try again. I was hosed, and the 2-3 hours I had spent running gray quests to reach the dungeon had been a total waste of time. 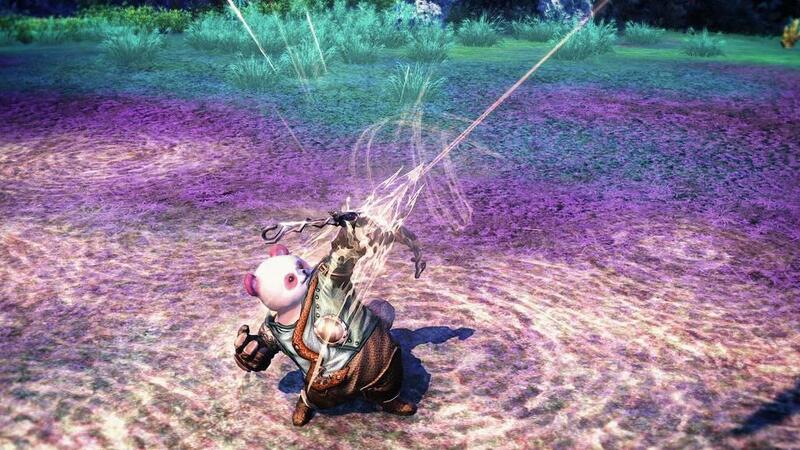 It is glitches like this that prevent me from recommending Tera without reservation. This is a very fun game, but it is plagued by technical issues right now. Now to be fair, the game just came out. The development team is likely to release a bunch of patches in the next few months that will smooth out the experience. 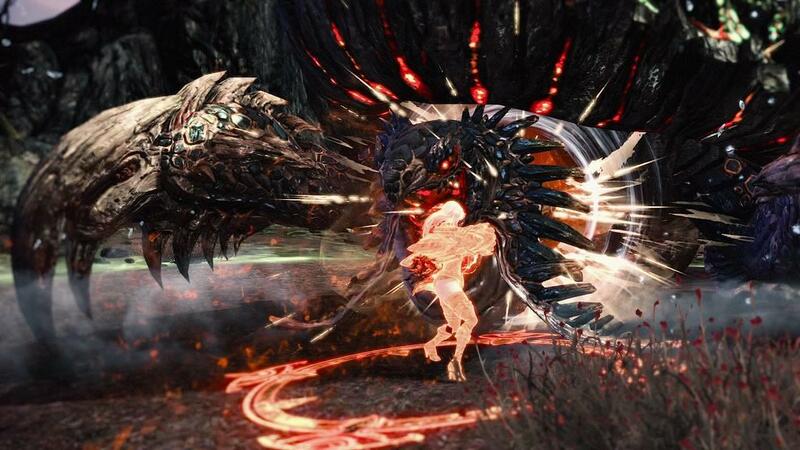 But for now, new players should understand going into Tera that they might experience some mild frustrations, and occasionally the game might make them downright furious. Aside from that major glitch, most of my other issues have been more run-of-the-mill. Logging into the game is a total hassle, with the game funneling you to a random server, then forcing you to back out and select the server you really wanted. This makes logging into the game into a 5-minute ordeal instead of an easy chore. Lag can also be an issue. There is a ton of lag in heavily populated areas. At one point my framerate went down to a whopping one frame every ten seconds, and I had to maneuver around by guesswork. Rough. And of course, the game still doesn’t seem quite optimized for PlayStation. There are some significant popup issues, particularly noticeable when you are flying above the landscape on a rented Pegasus, and entire buildings magically appear out of nowhere. Honestly, though, these are just growing pains that many new releases encounter. And we are talking about a free game, after all. The things that do work, work very well. The gameplay loops are strong enough to make me overlook all of these small issues (and that one giant one) and continue on into the end game. I don’t feel comfortable assigning a number score to a game like Tera. For one thing, I’m not fully levelled up yet, so there is a bunch of the game I haven’t seen yet. And when I do make it all the way to the endgame content, there are piles of content I will have missed just due to the sprawling nature of the genre. I have only played with one character and I have not tried out any of the paid features. There are too many things that I just flat out haven’t seen to deliver a full-fledged review. But number score notwithstanding, I can say that I have had a good time with Tera. I plan on continuing with it, time permitting. I do think that I might take a break for a month or two and then dip back in to see if the dev team has smoothed out the experience, but I will definitely be spending many more hours questing around Tera and building up a stable of characters. There is a lot of quality content here for a free game, and none of it is hidden behind paywalls. 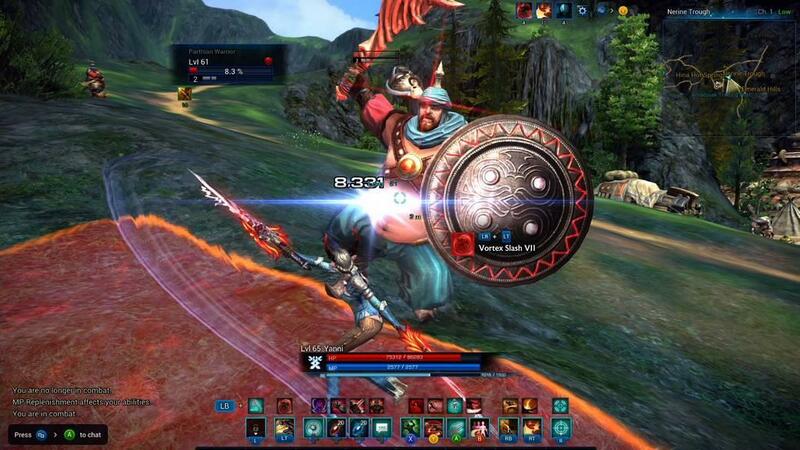 Tera is doing free-to-play right, and that alone creates a lot of goodwill from me. If you were on the fence, consider giving Tera a shot. It’s free, and you could do a lot worse with games that you have to pay for. Invite a friend and stomp around for a few hours feeling it out. Who knows? It might just invade your dreams. Just be careful with those levels, or your dreams might be angry nightmares.